Siddharth Dani is an engineer and designer of algorithm products that use pattern recognition techniques. In over a decade in the field, he has worked in developing products for Computer Vision, Neuroscience and healthcare technology. 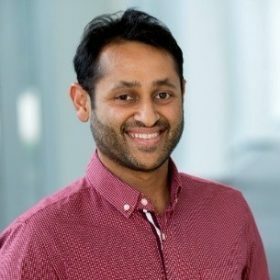 Currently, Siddharth’s focus is on developing value based healthcare products that use sensors and algorithms to make clinical workflows more objective, predictable and centered around patient outcomes. He leads the strategy and design for building such products for various healthcare domains like the spine, brain and cardio-vascular health.